Monte Burke (“Saban: The Making of a Coach”, Forbes) joins the show. We discuss how University of Alabama’s Nick Saban has made himself indispensable to so many organizations in his forty-plus years of coaching. 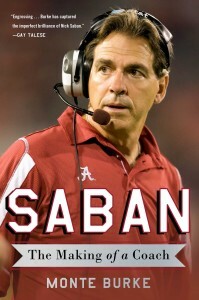 You can purchase Saban wherever books are sold. More information about the author available on his website. Daniel Tosh has read Saban. Check out an excerpt regarding Saban’s potential departure to Texas.